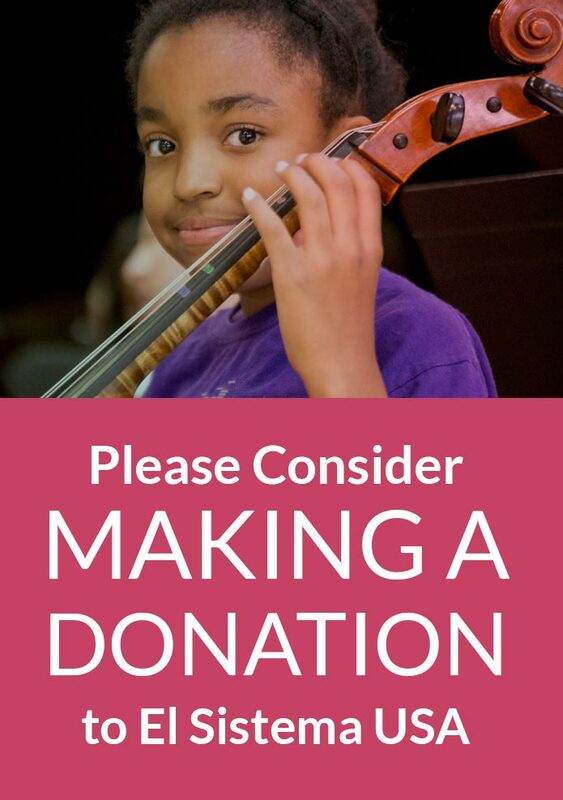 El Sistema USA is committed to supporting existing El Sistema-inspired programs across the United States, as well as nurturing new programs in communities that would benefit from them. Becoming a Member of El Sistema USA means joining the National movement of #MusicForSocialChange by working together with like-minded programs across the country. By working together we can learn from each other, support each other, promote each other, and encourage the development of new El Sistema-inspired programs in communities that need them. We can garner greater attention from the press, leverage our numbers, and consolidate efforts so that we each have a greater voice and greater social impact. We, as a membership organization, promise to ensure that you receive a great deal of value for your membership! Join El Sistema-inspired organizations from across the country for the 2019 El Sistema USA National Symposium, “360 Degrees of Excellence”, Wednesday January 30 – Thursday January 31 in Detroit, MI. The 2019 symposium will offer a chance to learn, to network, and to grow as an El Sistema USA educator, administrator, or parent. Featuring presentations and interactive breakout sessions designed by ESUSA members, participants will have a chance to follow tracks personalized for varying interests. This year, in partnership with the Sphinx Organization, ESUSA Symposium Attendees will have the chance to attend Sphinx Connect 2019 (January 31 – February 2) for FREE! ESUSA offers a monthly webinar series, free-of-charge to members, led by experts in their fields to support the professional development of teachers, administrators, board members, volunteers and students in the El Sistema movement. ESUSA supports regional gatherings quarterly, which will rotate bi-annually through the West/Northwest, Midwest, South, Southeast and Northeast United States. These workshops and “seminarios” support member organizations and celebrate the unique attributes of El Sistema programs, providing professional development and performance opportunities unique to each workshop, all with the goal of supporting members’ program growth and sustainability through organizational development. ESUSA has identified national partners who align with El Sistema inspired values, including the Creative Youth Development Movement (supported by the Massachusetts Cultural Council and Americans for the Arts), National Guild for Community Arts Education, the League of American Orchestras, the Sphinx Organization, the Creative Youth Development Movement and Americans for the Arts, the NYO2 program at Carnegie Hall, the LA Phil’s “Take a Stand Festival” and the National Arts Education Partnership, among others. We participate in national advocacy conversations supporting the importance of music education as a core subject in our public-school system, and the positive impact the arts and culture has on communities. Future plans for ESUSA include the development of simple local advocacy tools for members, and talking points connecting local organizations to the national music education movement. ESUSA has future plans to support small grants for travel and technical assistance to our members to facilitate their professional development and support performance opportunities, and to help develop mechanisms to share repertoire, share resources, as well as provide fundraising education and recognition of excellence among member programs. Through our partnership with Duke University, El Sistema USA conducts a biannual Census of our membership and creates benchmarking reports for use by the field. 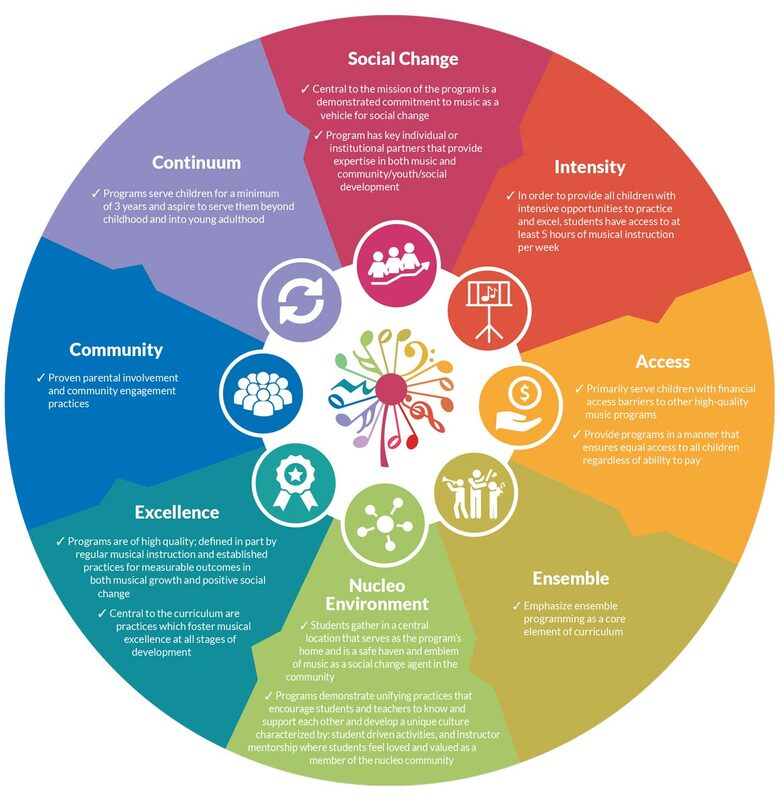 As a field whose members are a blend of youth orchestras and social service programs, the Census provides useful “like vs. like” comparisons for organizations that carry the expenses of providing instruments, near daily instruction, and additional social services to children and youth from Kindergarten through the 12th grade completely free of charge, within the context of system-wide community-based partnerships. In addition, ESUSA is committed to independent research of the collective impact of Sistema programs nationwide, as most recently demonstrated in the Duke University study funded by the National Endowment for the Arts.